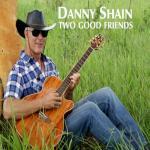 Sign up for Broadjam today to follow Danny Shain, and be notified when they upload new stuff or update their news! COUNTRY MUSIC WITH MIXED SPANISH AND ENGLISH LYRICS. Patriotic song about well know places and things in the USA. Blends a little Spanish with English lyrics set to a traditional country musical style. Una canción que habla de varios sitios y cosas conocidos en los EEUU y puesta a un estilo de country music con letras mixtas en inglés y español. Patriotic song about well know places and things in the USA. Blends a little Spanish with English lyrics set to a traditional country musical style. This song has spent various months on two important music charts in the USA: Independent Music Network Top 30 and VRadio Nashville Top 40. It talks about my personal life as an original country boy living in Latin America. My ¨gringo¨ side is represented by Jack Daniels and my ¨latino¨ side by Don Julio tequila. Esta rola ha pasado varios meses con 2 charts musicales de los EEUU: Independent Music Network Top 30 y VRadio Nashville Top 40. Habla de mi vida personal como un gringo vaquero original viviendo en latinoamérica. Mi lado ¨gringo¨ se representa con el Jack Daniels y mi lado ¨latino¨ con el tequila de Don Julio. Love song in a country ballad style as expressed by a male who is deeply in love with his brown skinned lady. Una rola del amor puesta a un estilo country balada y se trata de un hombre quien esta profundamente enamorado con su linda morenita.